Apps are probably one of the biggest uses of space on your device, and they might be slimming down in the future. Google is preparing to offer developers an automatic APK optimization service. The idea is to deliver smaller APKs to users that have all the extraneous bits stripped out. Google has been doing something similar internally for years, which is why there are often so many different builds for each app. After opting in, third-party apps will get the same treatment. Devs upload the universal APK with the libraries and resources needed for all devices. Google can then trim things from the APK before delivering it to a user. For example, an app might include libraries for ARM and x86, but you don't need both of those on a phone. So, before sending an APK to an ARM phone, Google's Play Store magic could strip out all the x86 libraries. 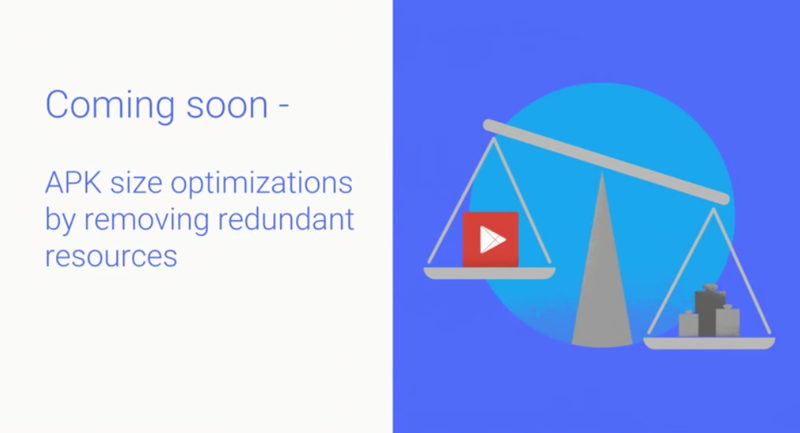 Google says it has seen a 20% drop in file sizes with some of its testing partners. That's great for your data usage, but it will mean more versions of APKs floating around that will only work on certain devices. It could get messy for sideloaders.